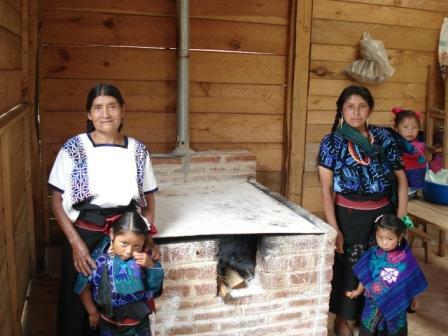 Because they are alternative to the traditional floor fires upon which mayan women traditionally cook their meals. Floor fires cause smoke related diseases and severe burn injuries in children. They consume an enormous quantity of wood thus adding to the burden of women and children who need to carry it home. Our stoves are vented, taking the smoke out of the house, they consume very little wood, thus preventing deforestation. The wood burning area is not exposed and the stove is set within a constructed frame that offers working space, one the family can also use to sit around to have a meal while keeping warm. 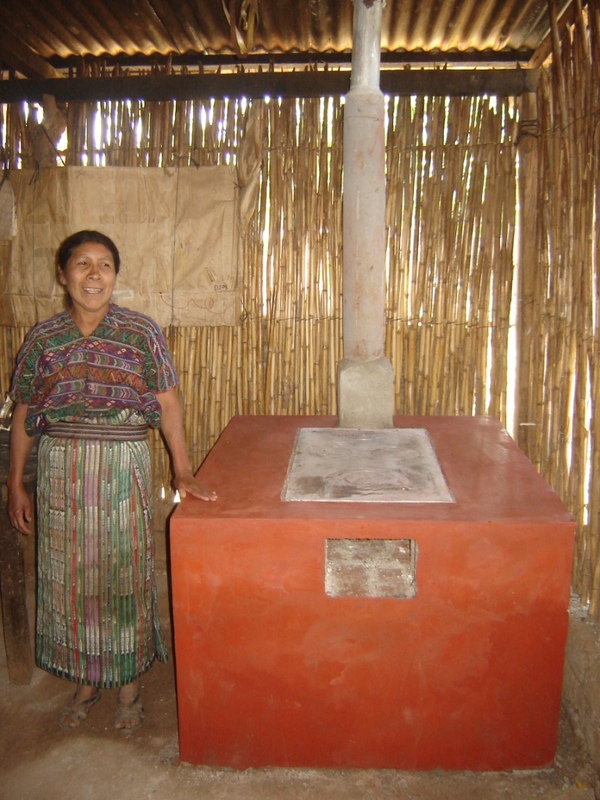 Type of stove we build in Guatemala. We build stoves according to cooking needs. Their shape and size changes according to the size of a family or the country’s diet. Please contribute to our stove fund or donate a stove to a family. We will send you a photo of the family with the stove.